BEIJING—The hostage crisis involving Hong Kong tourists in 2010 and the ongoing skirmishes in the South China Sea (now West Philippine Sea to the Philippines) between the Philippines and China are not deterring the influx of Chinese tourists into the Philippines. The Chinese market is expected to further improve, especially with the recent marketing push of Davao as an ecotourism, extreme adventure, and culinary destination, especially among Beijing travelers, a Philippine tourism official said. Cebu Pacific, meanwhile, is assessing the feasibility of plying a Davao-Beijing route, an airline representative said. In an interview, Jazmin C. Esguerra, tourism attaché of the Philippine Embassy in Beijing, said Chinese travelers, especially from this city, are currently on the lookout for new exciting destinations in the Philippines. “The honeymooners, for example, like island destinations and Davao will be a perfect new addition to their itinerary because it has Samal Island, and island-hopping tours,” Esguerra said. Data from the Department of Tourism (DOT) showed that Chinese travelers to the Philippines grew 18.54 percent to 71,113 from January to April 2011, making them the fourth-largest tourism market. For 2010 alone, arrivals from China jumped 21 percent to 187,446, just ranking behind arrivals from Korea, the United States and Japan. Esguerra said this substantial growth in arrivals indicated that the Philippines still has a “positive image” among Chinese travelers, despite the bungled hostage rescue attempt in August 2010. “While there were some tour groups that canceled their trips to the Philippines via their travel agencies for about two months after the incident, many of them booked their trips directly online,” she said. Esguerra added that current dispute over the Spratly’s Islands has “presently no effect” on the tourism decisions of the Chinese. “Tourism is nonpolitical,” she said. Many Beijing travelers, she added, are now spending more on travels because they are earning more, and have become tech-savvy—they now do most of their bookings and reservations online. “They see the Philippines as a romantic destination, that’s why they often go to Boracay and Palawan. And because of the tsunami [which recently hit Japan], they have redirected their focus on Southeast Asia,” Esguerra said. Her office is currently helping push the Philippines as a wedding and honeymoon destination, which will attract more upmarket travelers from Beijing. Aside from being a romantic destination, the Philippines has also become an ideal destination for the meetings, incentives, conferences and exhibitions market. She said a group of 85 company employees recently traveled to the Philippines as part of their incentives package. A Davao Cultural Festival is currently being held at the Marco Polo Parkside Beijing, on the initiative of its general manager Stanley Lau, who managed the hotel’s Davao unit from 2004 to 2009. The Davao delegation earlier made presentations before members of the Chinese media, promoting the many activities that can be pursued in the city. 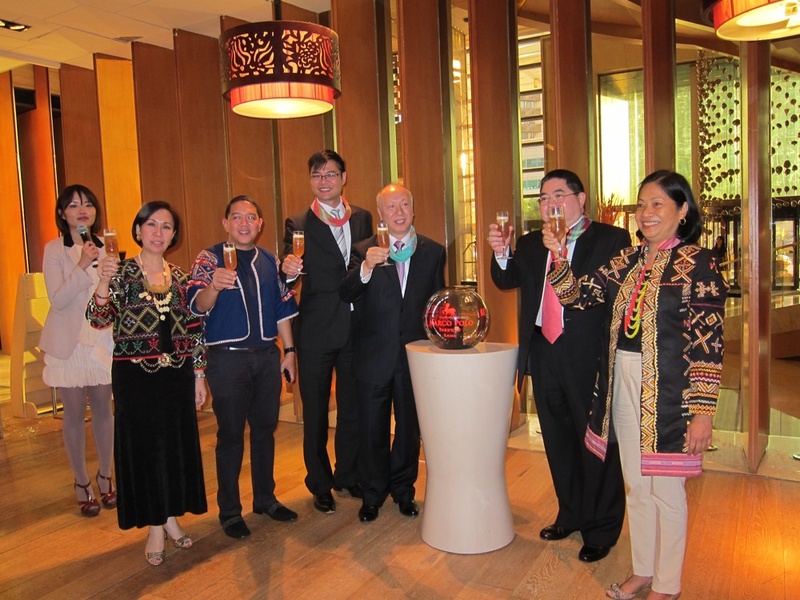 Art Boncato, regional director for DOT’s Region 10 said the cultural festival, themed “From Islands to Highlands” was in line with the Philippine Independence Day celebration at the hotel. The event was also cosponsored by Cebu Pacific, with the participation of the Davao Region Tourism Council, Davao Eco-Crafts and the Center for Asian Culinary Studies-Davao (CACS). The festival was launched on June 11 and will run until June 22, while the dishes of Davao will be a mainstay during the lunch and dinner buffets at the hotel’s Café Marco until June 30. The dishes featured at the food fest were by Chef Gene Gonzalez and his CACS crew. While the festival is ongoing, cultural dancers from Davao will provide entertainment for Café Marco’s guests. Meanwhile, Agnes Gupalor, Cebu Pacific’s sales manager for the Visayas region told the BusinessMirror the airline is “currently studying” the market for Chinese travelers to find out if it would be feasible to have direct flights between Davao and Beijing. Davao already hosts an international airport where Silk Air flies regularly from and to Singapore. Addressing members of the Chinese media, Gupalor said the airline “is very optimistic about expanding our services in North Asia, especially with the observed 23-percent year-on-year passenger growth in Greater China for the first quarter of 2011.” The airline’s general sales agent in Beijing is Pacific Aviation.